Thinking about how to gain weight ? It’s never too late. Being thin can be just as unhealthy as being obese. This is not just a problem of appearance rather it is directly related to your health, your body efficiency and in turn, your life. A man without power and good body always finds his existence incomplete and out of confidence. It is the greatest possession that he can ever own. So far the females are concerned, it is also a known fact that a Skinner appearance cannot make you look that charming and appealing in any dress till your body does not possess its curves. So, simply saying, a good body weight is very important for every man and woman. But then, how to gain weight naturally and safely? There is no hard and fast rule to weight gain because if your body had been adaptable to whatever you eat, you had already gained weight. But because it is not the scenario, so you need to make extra efforts out of your comfort zone to achieve what you desire. Here we have provided a comprehensive guide containing all the necessary and fruitful exercises, foods and supplements, diet chart that work to improve the body efficiency and gradually results in permanent weight gain. If these methods are followed with commitment and discipline, then we are very much sure that the practitioner will surely succeed in his/her efforts. How to know what’s the Right Body Weight for me? An average body weight differs from person to person. The perfect method to know the right body weight as per individual body stature is to calculate his/her BMI. So far the BMI ratings are concerned, a person with 18.5 or less points is known as underweight person. The index rating for a good health person should be 22 to 23. So, calculate your BMI and get the right weight target. These methods are elaborated below, but first check out the factors that are the causes for your skinnier look. If a person takes a normal diet and works under no extreme conditions and is still not able to gain weight, then it is not normal thing. A good and healthy body always works for improved efficient and energy. So, it is important to know the possible causes that generally affect the body efficiency and attributes to underweight. Genetic Causes – It is one of the most common reasons for underweight physique. Genetic attributes create many similarities between parents and their child. If the father and mother are skinnier then the chances of child same appearance stands high. Weak Digestion Function – May be it happens with you that you eat a lot but finds no boost in energy levels or body weight. It could be due to the simple reason of weak digestion function. Weak digestion sends the food intake as waste without completely digesting it. It results in several issues because body does not get its required nutrition and energy. Fast Metabolism – Metabolism is one of the most important body functionality and it directly affects the body weight gain process. The role of metabolism is quite simple. It uses the produced energy after the digestion process, sends the required energy to the related parts and stores the rest of energy as cells in the body. So, a fast metabolic rate uses more energy than required. It results in failed weight gain efforts. Individual Personality – Human nature is not just the decision maker of one`s success in life but it is also the determinant of one`s physique. The reason behind this his/her activeness and efforts made in daily life. Some people work a lot while they give minimum attention to rest, food and leisure things. It tends to spend more energy and leaves nothing for storage in the body. More Muscle Fiber – Muscle fiber is the amount of muscles in the body. It is different in every human being and those who possess more muscle fibers, needs more energy to indulge in daily activities. Thus, a person with more muscles needs more energy to put some weight. Stomach Wworms – Whether you accept it or not, but if you fail in gaining the required body weight, then the reason for this also could be the worms in your stomach. A proper diagnosis will help you know the real situation. It is very important for you to get it checked. Issues in absorbing nutrients and energy – It can happen due to many factors when body stops or minimize the absorption of nutrients which are very important for body supplementing. Certain Diseases – Issues like hyperthyroidism, diabetes, anorexia, bulimia, diarrhea, tuberculosis, infection in stomach, coeliac disease, enzyme deficiencies, etc. some of the diseases that can prevent a person from gaining proper weight. Besides, if a person is on the long medication, then also it can affect the body weight gain capacity. Physical and Psychological Tiredness – It is the case when a person fails to gain the proper weight due to excessive physical workout, work stress or body use. Psychological issues like depression, stress, anxiety, tension, headache, etc. affects the body regular functionality. Pay attention to your mental health as these mentioned reasons put a great deal of impact on the physiology of a person. So, to gain the weight, first make a healthy balance in your mind and body state. 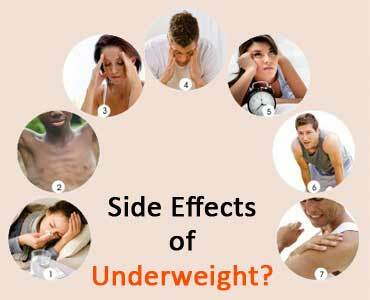 What are the Main Side Effects of being Underweight? The main risk of being underweight is on your health. When a person is underweight, it is not just the physical appearance issue rather it is the issue when the body does not perform the way it should. This gives way to many issues in the body. The immunity power weakens which means the body will take more time to heal. The person also becomes more prone to infections, flu and other general weather change issues. The issues like cardiovascular, gastrointestinal, endocrine and nervous system also affects from it. The lower energy levels also affect the sexual capacity of person and he/she fails to concentrate on any subject. How to Gain Weight at Home? Best Methods Revealed. 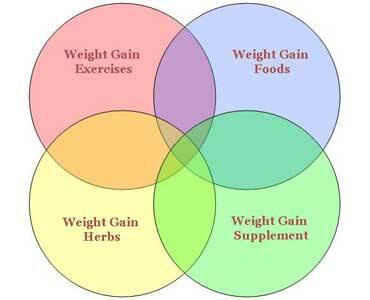 All the natural and safe methods for how to gain weight are given below category wise. It is in your favor to opt for different set of exercises, foods and supplement to move to the path of weight gain successfully. If you want to gain weight and muscles and power, then exercise is a must thing for you. Whether you are a man or woman, exercise is highly beneficial for everyone. If you are not a fan of physical efforts and practices, then at least start with light exercises. Gradually you will start loving it because every time you do exercises, it strengthens your will power, muscles and body efficiency. Some main exercises that are helpful for beginners and expert alike are mentioned below. The sets for these exercises can be increased with time and the benefit will appear on your body. Push-ups – A very common and very helpful exercise. Equally important for a pro and an amateur. This exercise is the basic for any exercise doer. It targets pectoral muscles, delts, shoulders, chest area and stomach. Indian Style Push-ups – Indian style or Hindu push-ups are a bit similar to normal pushups with a difference of more efforts and muscles use. This exercise targets on shoulders, chest and triceps. Triceps Dips / Bench Dips – This exercise works on triceps and shoulders. Pull-ups – This exercise helps to build Lats and arms muscles. Bodyweight Squats – It works on Quads, hamstring and hip flexors. Jump Squats – This exercise is similar to bodyweight squat and works on quads, glutes and hip flexors. Walking Lunges – Help in lowering the fat accumulated in the lower body and brings in toned and strengthened muscles. Standing Calf Raises – This exercise tones and tightens the leg muscles and helps in strengthening the legs. Burpees – The target area of this muscle is Chest, triceps, Delts, Quads and Hamstring. Crunches – Crunches help to reduce the belly fat, increases the core strength of muscles, and work for six pack abs. Running or Brisk Walking – If you know that running is for overweight people then you are misinformed. Running increases stamina, increases muscles strength, increases immunity power, increases body activity levels and blood circulation, increase appetite and in turn brings body in required shape. Remember to shuffle between these exercises every day. Don’t repeat same exercise every day because body needs to recover and supplement the muscles break with new cells and energy. Make exercise your habit and it will adore you and make you the owner of better physique. Drink good amount of water. It is highly important to keep your metabolic rate in order and to supply enough oxygen and energy to all the body parts. Repeated Sets of every exercise should be done. 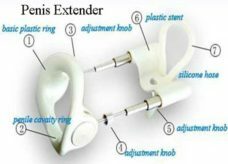 Do not extend the rest period between two exercises. Don’t keep waking late night. If you are on mission to gain muscles, then discipline should be your first priority. Ladies also need to do exercises, but they can opt for light weight exercises. Never go for exercises empty stomach. It results in big loss of energy. Take bananas, soyabean, or similar other energy oriented food one hour before going to gym. Your gym instructor will give you a complete list of those products that you can easily find in your area. Regular meals are very necessary if you are on exercise routine. Change the exercises every day. If you have done Arms exercises today, then next time to do same exercises should come after two days at least. Vajrasana – The very useful asana which can be also be done after meal. This asana gies multiple benefits like balanced metabolic rate, good digestion, calms the mind and strengthens the back muscles. Bhujangasana – This asana is famous for its pose. The snake pose that is charming is also very beneficial. It helps in better stretch of chest and stomach muscles. Direct impact is on chest area, digestive function, increased appetite, balanced metabolism, and strengthening of back muscles. Sarvangasana – It helps in improving the blood circulations and helps it reach to those areas where it normally does not reach in that amount. 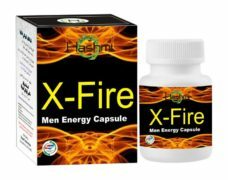 It results in energized body parts and better muscles formations. Matsyasana – Matsyasana is a must do yoga asana because of its multiple impacts that include control of thyroid gland, strengthening of digestive system, reproductive and cardiovascular systems. Pavanmuktasana – This asana helps in absorbing the nutrients in the body and benefits the digestive system for better working. It also controls the metabolic rate. Shavasana – It is the last asana which you should do after all the workout and Yoga. This asana helps to gain from the exercises. Also it brings harmony to mind and balances the blood circulation. The exercise helps in healing the body after workout. Pranayam – Pranayam is a bit difficult Yoga asana but is extremely helpful in energizing the internal and external existence of the user. This asana alone helps in upbringing and improving the capacity of mind, body and soul of the doer. 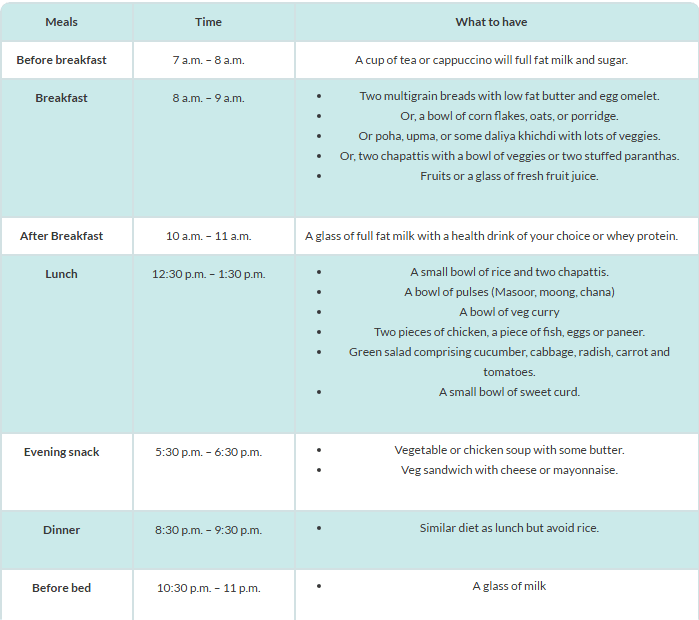 Take an sneak peak on below weight gain diet chart to plan your foods, opt time to eat to get the weight you are looking for. This weight gain food list emphasizes on those foods which are easily available for everyone and anyone can afford them easily. These foods are completely safe from any side effects risk and are very helpful in gaining weight at home. With this list of foods, there will remain no need to make any weight gain diet chart or look for calories enhancer. Banana and Milk – Banana and milk is the perfect combination that Banana and milk is the perfect combination that you should add to your diet. The best time to consume banana and milk is the morning time. Take at least 2 bananas and 1 glass of full cream milk every day. Potatoes – Potatoes are the main source of starch and calories. Starch is the sweet sugar that contains high amount of energy. So, include potatoes in your daily meal. Clarified Butter and Sugar – Clarified butter or Ghee and sugar are one of the ancient methods to gain weight. It tastes good and is also a great source of energy. Beans – Beans are the pool of protein and protein is the first requirement to gain muscles and energy. This should also be a part of your breakfast. Natural Granola – This food is loaded with sugar, nuts, oats and fats. Eggs – If you are not pure vegetarian then you can rely on eggs for weight gain. Eggs are a great source of protein and also improve body immunity power. Avoid the yellow part in summer. Whole Wheat Bread – As it is said, homemade food is the best source of energy, the whole grain roti completes this diet. Rice – Rice is a great source for carbs and helps to gain quick energy. 1 cup of cooked rice provides 190 calories. Cheese – Everyone likes cheese, and it is also a very good reason to like when it comes to the question, how to weight gain fast at home. Soybeans – Soybeans are the good source of energy and protein. Soybeans should be added in daily breakfast or meals to complete the required levels of protein in the body. Nuts and Seeds – Nuts and seeds are high calorie diet and help in energy production. Walnuts, flex seeds, almonds, peanuts, etc., all are healthy and very good energy source. Avocado – Avocados contains high amount of healthy fats and nutrients. The item can be added in various foods. Healthy Oils – When you make food, pay attention on the type of oil you use. Good quality, pure, unaltered oil is the best source to cook healthy and energy packed food. Chocolate – Chocolates are always a treat for taste and is also a good source of energy. Small amount of choco also helps in improving the blood flow and energy circulations. Figs – Figs are source of high energy. Put 8-10 figs in the water at night and eat in the morning before breakfast and see the results in just one month. Raisins – Raisins are also the complement of figs. 8-10 raisins and figs are enough in the morning to gain quick weight. Mangoes – It comes only in summer season and so you should try to make most of it. Summer is not a good weather to gain weight but mangoes can make it so. Mango is great source of quick energy. It has numerous benefits in the body and a great supplement to gain weight. Milk – Some people don’t like milk though it is the best and healthy liquid item after water. Milk completes many deficiencies in the body which remains in the normal course of life. It is the only source that alone can help to gain weight quickly. Consume full cream milk for that. Butter – Saturated fat, so consume it in balanced amount but use it necessarily. It is good for weight gain at home. Yogurt – Natural yogurt is the very good natural food to gain weight and regularize the digestion and metabolism function. Cheese – Cheese is high density energy and fat item. It makes food tasty as well as increase its energy concentration many folds. 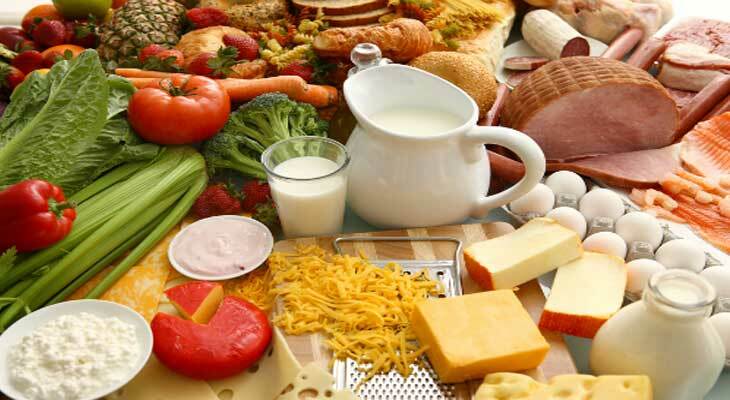 If you want to add a few kilos without taking supplements and artificial protein products, then this weight gain food list should be in your mind every time so that when you go to market next time for shopping, you remember to purchase these items on regular basis. There are certain herbs that work in the body to regulate the causes that prevent the body from gaining weight. These causes sometimes also invite new issues in body. These herbs can be used after proper consultation with your doctor as the natural herbs work differently as per individual conditions. Ginger –Commonly available and widely used herb that works in the body to increase the appetite. It is also a good herb to improve immunity power. Ashwagandha Powder –It is a widely known and used herb in various medicines and tonics. The multiple benefits of ashwagandha make it a rich and natural supplement to gain weight. It fulfills the lack of energy, heals stress, removes fatigue and brings the appetite back. Chamomile –Chamomile is good source to treat the digestion related issues like gas, dyspepsia, and indigestion. It helps in increasing hunger which in turns incites the person to have more food. Chen Pi –This herb is known to improve the digestive system, treats dyspepsia, and increases body`s natural secretions. 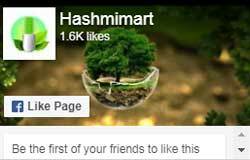 It is a good herb to help in weight gain naturally and safely. Custard Apple –Good herb to use in the process of weight gain. It brings down the body heat, increases the chances of weight gain and treats anorexia. Blessed Thistle –It is used in various tonics to increase the appetite. It is bitter in taste and helpful in regulating the digestion function. Licorice –This herb helps in strengthening the immune system. Fenugreek –This herb is a useful natural treatment for different types of issues in the body. So far the weight gain is concerned, this herb helps to improve digestive enzymes, reduces cholesterol, stabilizes glucose in blood, prevents constipation and works to prepare the body to gain weight properly and naturally. Gentian –The herb helps in better absorption of food, increases appetite, tones the stomach and intestines, better enzymes absorption and recovers from fatigue. 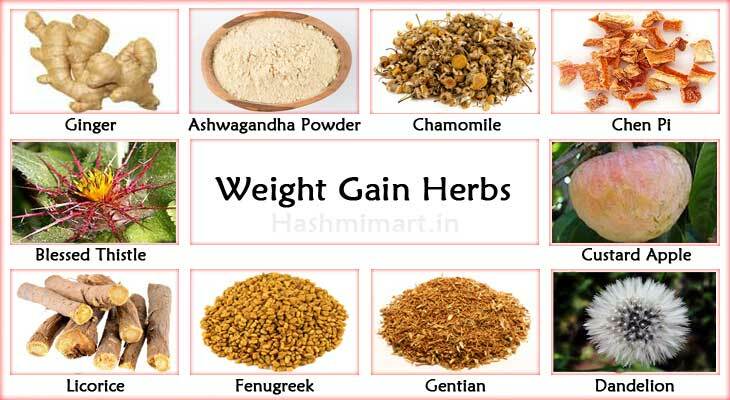 The herb is found very beneficial in weight gaining process. Dandelion –Dandelion works to improve the appetite, improves the amount of digestive enzymes, and is very good herb that contains iron, potassium, zinc and some vitamins complex. Weight gain supplement is for those who want a well-researched, tested, authentic and powerful medium to gain weight safely and naturally. The supplement that is mentioned here is the single alternative for all the herbs and foods to fulfill the body deficiency for nutrients and other supplements, to remove the causes of underweight and regularize the body functionality for future benefits. The main benefit of this natural supplement is that there is no need to look for any medical consultations, or research the web or make a list of weight gain tips. This supplement is formulated to help in those areas which generally remain untouched from general foods and other methods. 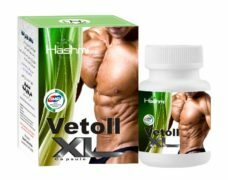 Vetoll XL is the name of this natural supplement which is made from the rare and precious natural herbs only without any use of chemicals. This supplement is made as the complete treatment to help gain weight to anyone. 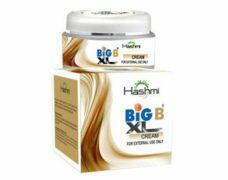 This natural weight gainer is not just the cure of the issues but is also the booster of energy and weight gain process. 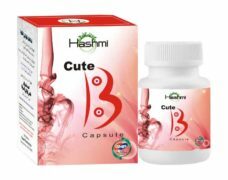 The medicine is made by the reputed and old natural medicine maker, Hashmi pharmacy, who is known for its all-natural highly beneficial and result oriented natural medicines. Vetoll XL is made to fulfill that void which was always there in the market. It strikes on those points which the medical industry generally does not address. It starts its working to regularize the digestion metabolism function and then gradually, after increasing the appetite, incites the body to absorb the enzymes and energy for its better use and storage. The supplement works without any force on the body. It improves the body process, removes the causes, maintains the functions and thus results in most natural and soothing results. 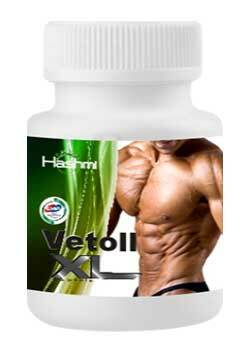 Vetoll XL is the natural weight gainer which eliminates the need of herbs, extra food consumption and efforts. The complete course not only helps in gaining the proper weight but also regularizes the body efficiency to maintain the weight in future as well. Vetoll XL is GMP and ISO certified product and is already proved its legacy in the market. If you want to know how to gain weight naturally then this is the most reliable and proven answer for your question. Protein and Carbs are very important source to gain weight so every food that contains protein and carbs is good for the mission. As already told, if you do exercise, your muscles need rest to recover. If you do physical work, then also your muscles need rest. So, make a disciplined chart for your daily sleep and wake up timings, take at least 8 hours of good sleep and see your body rise. Be patient with yourself because one day effort and one day food will not do any wonder. Even one week is not enough. You can expect some visual changes after a month if you are doing it right and your body does not have any other issues that prevents from weight gain. Believe in yourself if you want to achieve the targeted weight. It is very important to believe in what you do otherwise don’t do it at all. To believe is to make. Drink plenty of water to keep your body active, hydrate and full of energy. Live disciplined life and include different types of foods in your daily chart. Consume one or more types of dairy products daily. Be patient and be satisfied with your efforts. Be consistent in your efforts. Never take any fruit in empty stomach, it works for weight loss not weight gain. Avoid alcohol consumption and smoking as much as possible. Keep your daily activity to normal. Avoid snacks and liquids before having meal as it reduces your appetite. Don’t put excess mental pressure as mental health is first condition to gain weight. With these tips and points, we wish you good luck in your endeavors. 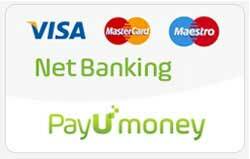 For any doubt or issue, you can contact our specialists on phone/email for detailed and free consultation. Note : The herbs/ exercises/ foods suggested above are for a normal person. If you suffer from any kind of infection issue, body pain or disease, then kindly contact your doctor first before going for any effort.